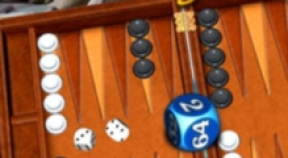 Win a game with a backgammon. Earn this in Single Player or Xbox Live play. Win a game with a gammon. Earn this in Single Player or Xbox Live play. Win a game by 50 pips. Earn this in Single Player or Xbox Live play. Win a game by 75 pips. Earn this in Single Player or Xbox Live play. Win a game with a doubling cube bonus. Earn this achievement in Single Player or Xbox Live play.